Papua New Guinea Prime Minister Peter O’Neill has thanked the Government of France for their recent shipment of food supplies to assist earthquake victims in the Highlands. 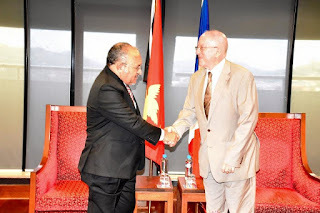 Papua New Guinea’s gratitude for relief support was conveyed by the PM to the new French Ambassador, H.E. Philippe Janvier-Kamiyama, in Port Moresby yesterday. “We thank the French Government for the shipment of tuna, bully beef and rice that was delivered to Papua New Guinea on a French Navy frigate,” the Prime Minister said. 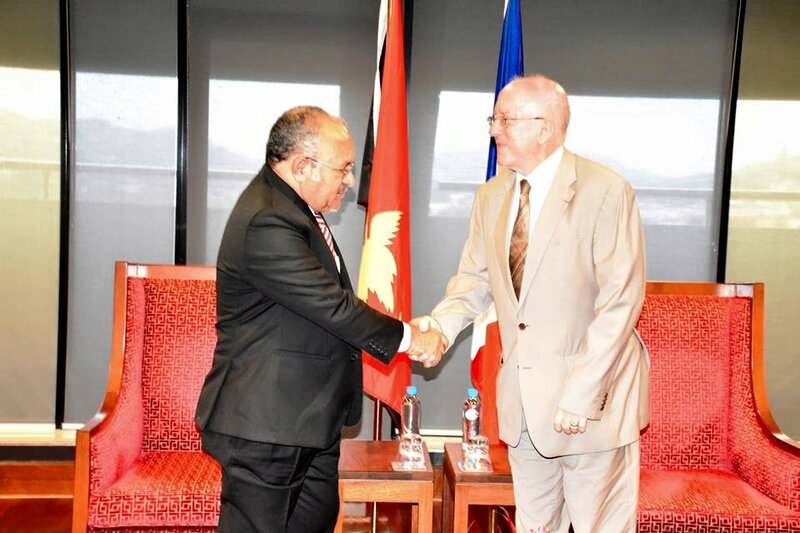 PM O’Neill said engagement between Papua New Guinea and France continues to grow as the construction phase of the Papua LNG project draws near. “Our Government is working with French company TOTAL S.A. and other partners to advance Papua New Guinea’s next major gas project. The PM welcomed Ambassador Janvier-Kamiyama to his new appointment and wished him success during his time in Papua New Guinea. “Ambassador Janvier-Kamiyama advised me that Papua New Guinea was his first choice for his diplomatic posting, and we welcome him to our country.